Company | Castello Cities Internet Network, Inc. Founders Michael Castello and David Castello, known as the Castello Brothers, own, manage and develop some of the most recognized Geo and Generic domain name brands in the world. Their portfolio includes Cost.com, Nashville.com, GolfClub.com, Acapulco.com, PalmSprings.com, Manicure.com, Daycare.com, Adopt.com, Traveler.com and many more. Victoria Castello is Chief Financial officer for the Castello Cities Internet Network. Prior to joining CCIN, she was the Vice President and Controller for American Birthright Trust Management, Inc. and Assistant to the Trustee of American Birthright Trust. She is a licensed Florida real estate broker in Palm Beach County, Florida. In 1999, Kate Buckley became the Executive Vice-President of the Castello Cities Internet Network. Today, Kate is one of the most successful procurers of static hotel advertising revenue for Geodomains in the world. Joanne is the Vice-President of Media Relations for CCIN and the Editor of ClubWhisky.com. Prior to joining CCIN, Joanne was a Specialist in Humanities in Japan where she taught English to Japanese children. Jonathan Castello is CTO for CCIN graduate of UC Davis with a Masters in Computer Science. He holds a bachelor’s degree in Computer Science and Mathematics from CSU Northridge. Jonathan also works for NASA at the Jet Propulsion Laboratory In Pasadena, California. With qualitative, intuitive traffic and global reach in major verticals, CCIN’s advertising network can reach audiences that traditional media cannot. PalmSprings.com is the very first website we paid to advertise on, 10 years ago. Looking back, it was the most profitable marketing decision we have made to date. As a new enterprise it helped us gain exposure to a wide variety of guests and continues to make our phones ring. Thank you PalmSprings.com! -1st off I want to thank you as i got a fantastic new client from my add on Daycare.com! The global reach of our intuitive brands is limitless because public recognition is pre-established. For example, Daycare.com consistently ranks in the top results for a search of "daycare" on Google, but over 30% of its gross traffic is via direct navigation (type-in traffic). In other words, our brands enjoy the best of both worlds: high traffic through organic search engine rankings compounded with an extraordinary degree of direct navigation traffic. And there is no doubt as to the purity of this traffic. Intuitive visitors to Nashville.com are interested in Nashville and intuitive visitors to Sample.com are interested in samples. 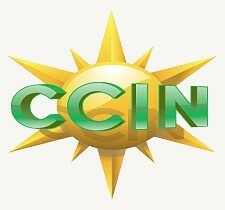 It is this synergy that consistently yields results for CCIN clients like no other advertising medium.